Philip McCabe reached forward and opened up his red igloo lunch cooler. He selected a ripe banana from the assortment of food and closed the lid. Taking a bite out of the banana, he looked around and thought to himself "What in the world am I doing here.” Philip was fifty-six years old and would turn fifty-seven in less than five months. Several weeks before his 57th birthday, his family would honor their family tradition of writing to the Heinz corporation and inform them of Philip's birthday along with a copy of his birth certificate. Philip would receive a sample package of pickles, condiments and sauces from the corporation right around the time of his birthday. On this beautiful spring Saturday, Philip could have been doing a lot of fun things, the weather was perfect for golf or spending time with any of his four children and two grandchildren or even just a nap on his hammock. Instead, Phil was seated in the bleachers of YMCA gymnasium that was hosting the 15th annual Rattlesnake Open Power lifting competition. Phil was not there as a spectator or even an official, he was there to compete. 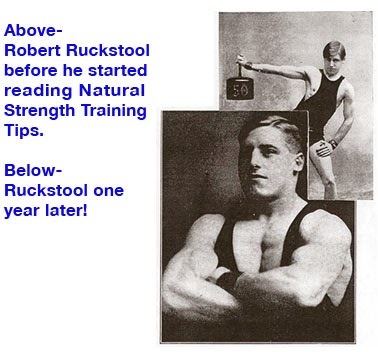 Phil had begun lifting weights when he was five years old. Not barbell and dumbell weights, but rather bales of hay, sacks of grain, and buckets of water that were part of his daily chores on his family's farm. Research which demonstrates that children should refrain from resistance training until they reach puberty is usually ignored by parents who farm for a living. By the time he started lifting barbells at age 15, he already built a solid strength foundation and was able to make steady gains. Phil began competing in Olympic lifting and faired well in local events. 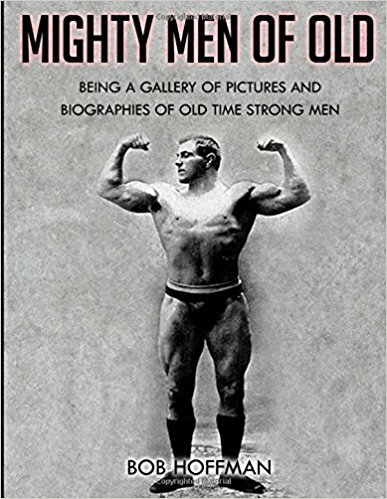 One of the meets featured an exhibition by Wilbur Miller, a Kansas wheat farmer who had once been an excellent Olympic lifter. 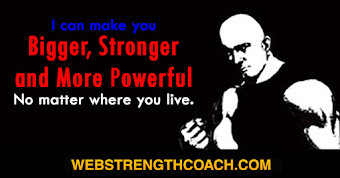 Miller had ventured into the new sport of powerlifting and at one time was considered the best amateur deadlifter in America, pulling an official 705lbs in 1963. A year later he pulled 715bs at the first national powerlifting tournament that were held in York, Pennsylvania. Phil was impressed by Miller's approach to lifting and his enthuisasm for powerlifting. He decided to try some power training and within a few weeks he was hooked. Phil competed in local and regional events throughout the seventies. He won several state and regional titles and in 1978 he qualified for the Senior National Powerlifting Championships. Phil was thrilled to have qualified, but he knew that he had little chance of winning. Traveling to the event would be expensive, especially when Phil had just begun his own plumbing business and he and his wife were expecting their first child. Phil’s wife encouraged him to compete, and though he was grateful for her support, he also knew she was hoping to be able to afford some new furnishings for the nursery. Phil decided against competing and ten weeks later his first son was born. He competed for two more years after that, but the demands of his business and raising a family took over. He still remembered the solemn day when he packed up his supersuit and knee wraps and stored them in the attic. He was able to build a fine home gym in his garage and he continued to train over the years along with establishing a successful plumbing business and raising four children. At least twice a month, Phil would get together with his good friend Bob and play squash. Bob was a successful insurance agent and had a membership at an upscale health club that had facilities for squash and racquetball. Phil received a phone cal from Bob on a Friday night before the day they were schedule to play. He told Phil that he had to travel to another city about 45 minutes away to meet with an important client the following morning and would be unable to meet at their normal club for the match. He told Phil that this city had a YMCA with a squash court and would it possible to meet there. Phil looked forward to their matches and agreed to meet him there. Phil decided to go to the YMCA early in order to train prior to the match. He always enjoyed pushing through a hard lifting session and then doing something that was fun and good for the heart and lungs. After finishing a hard workout in his garage, he would often coax his children into playing a pick-up game of basketball in their driveway. Phil left that morning and drove 40 miles to the neighboring city. He easily found the large modern building that housed the YMCA. As he walked through the front doors he was astounded to see a modern facility that would rival many upscale health clubs. There were large aerobic facilities, indoor pools, a running track, yoga and spinning classes and an impressive café and juice bar. When Phil was a teenager he often trained at the downtown YMCA that was housed in a building that had been built in the nineteen twenties. It had a basketball court that had been resurfaced countless times and a swimming pool that was half filled with water and half filled with industrial strength chlorine and it was mandatory to wear a rubber bathing cap when swimming. The weight room was sequestered in the nether regions of the YMCA, directly next to the boiler room. After a hard workout you could shoot baskets or if you dared, go for a swim. Phil signed in as a guest and was given directions by the perky receptionist to the men’s locker room and the weight room, or what she called “our resistance training center” He quickly changed into his workout clothes and walked across the hall to the weight room. The resistance training center was largely filled with state of the art machines, but there was a decent selection of free weights in the rear of the room. Phil began warming up. He stood 5’9” and weighed 191 lbs. His thinning hair had gone gray in his late forties. Phil did not possess the build that the average person associates with weight training, but years of weight training and in turning cumbersome pipe wrenches had given him a strong back and a vice-like grip. Basic movements comprised the majority of Phil's training. He began his workout with the narrow grip bench press and quickly worked up to an all set of five reps. After reducing the weight on the bar by 15lbs, he ground out another set of five before moving on to overhead presses. Phil moved quickly through his workout, resting only long enough to change the weight, record the numbers in a small notebook and if needed get a drink of water. He looked at his watch and realized that he had less than ten minutes until the start of the squash match. He chose overhead barbell shrugs as his last exercise, a move which looks deceptively easy, but punishes the entire upper back and shoulder region. Phil placed an olympic bar across the pins in the squat rack and loaded the bar to seventy-five pounds. Taking a medium wide grip on the bar, he easily pressed the weight to arms length and then shrugged his shoulders as high as possible. He held the top position for two to three seconds and then lowered his shoulders to the starting position. He began to feel his traps tighten up by the tenth repetition and the tension quickly turned to deep, burning muscle pain as he completed the twentieth rep. He set the bar back into the pins and stepped away from the rack and began stripping the plates off the bar in order to replace them back on the plate trees. He looked up and saw a group of four young men coming through the door. They looked to be in their early twenties and were led by the biggest man in the group. They all looked as though they lifted, but the biggest man was an oustanding example of musculuar development. He was shorter than Phil but appeared to carry around 220lbs on his frame. His bleach blond hair was offset by his deep tan. The group approached the squat rack where Phil was unloading the bar. Bleach-Blonde said “Hey Old-Timer, you about done playing with this squat rack yet, we want to do some real lifting" in an arrogant manner. Phil’s blood boiled and he felt his hand clench into a fist. Twenty years early Phil would have knocked this punk out, but time has a way of mellowing a man’s temper. Phil replied “Yes, I am done, just putting everything away". He pulled the last two plates off and turned to the group and said “All yours”. “Thanks” replied Bleach-Blond in a sarcastic manner. Phil picked up his gym bag and turned to walk out of the weight room, listening to the sounds of mocking laughter from the group. He noticed Bob standing in the doorway, it was obvious that his friend has witnessed the remarks made by Bleach-Blond. Bob said hi and together they walked in silence to the squash court. Their squash matches were always competitive, but today the intensity reached a new level as Phil took out his frustration on the double yellow dotted ball. Phil won the first game and Bob won the second game. They decided to take a quick break before their third game. Phil walked out into the hallway and towards the water fountain. He took a long drink and then let the cool water run onto his face and neck. He stood up and began scanning the bullletin board that was mounted on the wall near the fountain. Someone was selling a ten speed bike, a couple of flyers announcing a new series of judo lessons at the Y, and then he noticed a bright yellow flyer at the end of the board that had an illustration of powerlifter locking out a heavy deadlift. Phil walked towards the flyer to get a closer look. The flyer announced the 15th annual Rattlesnake Open Powerlifting contest that was to be held at the YMCA in a little over four months. Phil had heard of this event as it had been established soon after he had given up competitive lifting. The contest drew lifters from all over the state and even a few from neighboring states. Phil noticed that in addition to the open event, there was also a teen class and a over 40 class. Phil had considered returning to competitive lifting several times over the years, but had never made the full commitment to do so. The old age remarks from earlier in the morning were still fresh in his mind. Bob had walked up and was standing next to Phil as he was stating intently at the flyer. Bob pointed to the flyer and said "Phil, do you still have one left in you?" Phil replied "I believe I do." Phil found a pen and a scrap of paper and wrote down the address of the meet director. The two men skipped their third squash game and left to eat lunch and to plan Phil's training strategy for the competition. Phil returned home and immediately filled out the entry form, checking the over-40, 198lb class and took the envelope to the mailbox. He went into the attic and pulled out his original supersuit and knee wraps. The supersuit still fit well but he decided to invest in a new pair of knee wraps. He still had his original Bob Morris belt, which would outlive him and his children. Phil had never used a bench press shirt as they were not part of powerlifting when he had competed. He decided againt using it, mostly because he did not feel he had the time to get the feel of it and learn how to use it. He knew that he would be giving up valuable pounds by he would make up for it by focusing his efforts on the squat and deadlift. 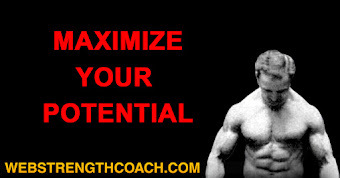 Phil had continued to train heavy over the years, though his training was primarily done with medium to higher reps. 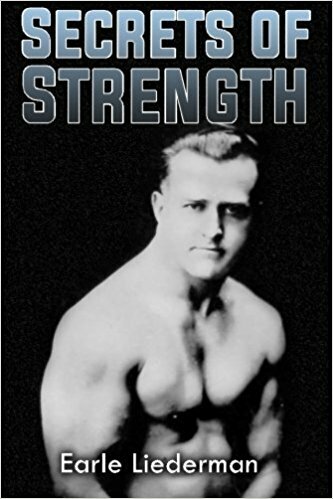 He began to gradually increase the weight and lower the reps and was soon setting personal records on a weekly basis. Phil has always believed that when you prepare for a contest, you should duplicate meet conditions as much as possible, so be began training with the exact clothing and support gear that he would wear for the competition. All of his training squats were performed in the same maner as his contest attempts. He would back out of racks, set up properly and then mentally wait for the "Squat" command. At the end of the set, he would mentally wait for the "Rack" command and then return to the weight to the racks. 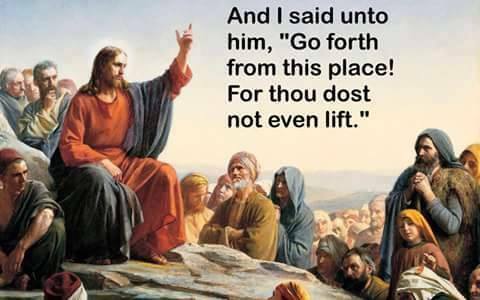 He did the same for his bench presses. 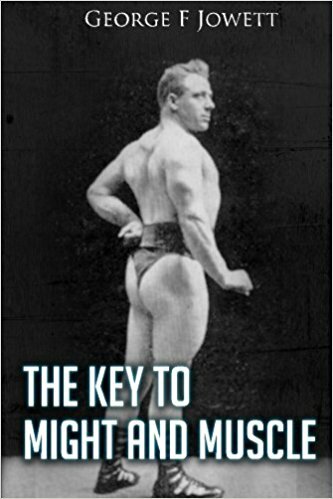 The energy he obtained from the workouts carried over into the rest of his life. While other people in his age group were complaining about the aches and pains associated with inactivity and aging, Phil was relishing the aches and pains associated with strength training. Phil awoke early on the day of the event and went out for a brisk walk. He returned home and ate a moderate, but hearty breakfast. He kissed his wife goodbye and left to drive to the contest. Phil arrived at the YMCA and was directed to the gymnasium, where the event would be held. He found the entry table and got into one of the two lines that had formed. The meet appeared to be well organized and the line moved rapidly. Phil was next in line when he heard a loud voice from an individual who had walked into the room. Phil turned and saw that it was Bleach-Blonde followed by his entourage. He swaggered over and got into the line next to Phil. Bleach-Blonde hollered out to one of the meet officials "Hey, how soon can I weigh in, I am about to starve" The meet official politely replied that weigh-ins would begin in 30 minutes. Phil looked over at the young man. He appeared to be a bit smaller than when he had insulted Phil four months earlier. He overheard the arrogant young man tell his friend that he had weighed in at 201 on his bathroom scales earlier that morning and Phil realized that Bleach-Blonde was trying to make weight to compete in the 198lb class. Phil was next up at the meet table. He gave his name to the official who said "Philip McCabe, 198lb 40 and over class" he then looked at Phil's date of birth and said "It looks like you are going to be our oldest competitor" Phil took a breath and said "I need to change my entry to the 198lb open class" The official replied,"Ok, that is an extra ten dollars to enter the open as well as the over-40" "No" said Phil, "I only want to compete in the open class" Phil's statement caught the attention of Bleach-Blonde and his crew and they all smirked and tried to suppress their laughter. The official made the change and then looked up at Phil and said "ok, you are in the 198lb open, best of luck to you"
Phil weighed in at three pounds under the 198lb weight. He watched Bleach-Blond moving in and out of the sauna while wearing a plastic sweat suit. After numerous trips, Bleach Blond finally made weight. The rules briefing would begin in about 20 minutes and Phil retired to the bleachers to grab a quick snack and to begin focusing on his lifts. Phil finished the banana and walked to the trash can to throw away the peel. For a moment, he wondered if he had made the right decision to change classes. Should he find the meet director and switch back to the over forty class? What exactly was he trying to prove today. He finally decided to just stick with his present plan and do the best he could. Phil warmed up and prepared himself for the squats. He had listed his opening attempt at 460lbs, which was in the middle of the group of the nine lifters in his class. This did not bother him as he had always made it a point to open light when competing. This gave him a chance to get used to the platform and the equipment and then he could pile on the weight for the second and third attempt. He also knew that if you struggled with your opening weight, the judges were likely to analyze your subsequent attempts with greater scrutiny. Phil watched the first couple of attempts in his class. The judging appeared to be strict, but consistent-just the way it was supposed to be. Phil’s name was called for the “in the hole” spot and he found a chair and made sure his knee wraps were rolled tight. When he was called for the “on deck” position he began wrapping his knees. He wished that Bob was here to assist him, but he knew that Bob had some business to tend to and would be at the meet a bit later. He finished the last wrap just as the announced called out “Next up is Phil McCabe who will be opening with 460lbs, Phil is our oldest competitor at age 56, let’s give him some support” Phil received a nice ovation from the audience. A fellow lifter pulled Phil to his feet and helped him pull up his straps and another offered to chalk up his upper back. Phil was pleased to see that the camaraderie still existed in Powerlifting. Phil approached the squat rack, and backed out of the rack with the bar and waited for the judges command. Phil received the squat command and went down, breaking parallel by several inches. He easily powered the loaded back to the starting position and racked the bar for three white lights and a generous round of applause from the audience. Phil was congratulated by several of the lifters as he exited the platform. Damn, that felt good, why had he waited so long to compete again. Three other lifters made their opening attempts and the bar had still not reached 500lbs. Bleach-Blond was the last lifter in his flight and his name was announced along with his opening attempt at 510lbs. He broke several ammonia capsules, took a whiff and let out aloud scream. He rushed towards the bar and rattled it several times before getting it set up. He backed out of the rack with still more grunts and screams. After being given the signal to squat, he quickly dropped into the squat position and then rapidly rebounded to begin the ascent back up. The crowd collectively winced in sympathy as they could only imagine the force his knees were experiencing. Bleach-Blond hit a sticking point at about thirty degrees above parallel, but was able to power through it and stand erect for a three white light success. He received applause from the audience and high fives from his friends and handlers. Phil jumped to 510lbs for his second attempt, which put near the top of the class. He made the lift with solid technical precision. Another lifter attempted 525lbs and was red-lighted for failing to achieve proper depth. Bleach-Blond selected 540lbs for second attempt. After watching Bleach-Blonde’s opener, Phil had his doubts about the 540. To his credit, Bleach-Blond slowed his descent and squatted the 540 with solid control. Phil took his last attempt at 535lbs. The announced urged the crowd to get behind Phil who smoked the 535lbs,though it was a near limit lift for him. Bleach-Blonde called for 575lbs. He took the weight down, moved it up about a foot, stalled, fought through it and then begin standing up with the weight. Just as he stood erect, he stumbled forward and the alert spotters grabbed the bar. Bleach-Blonde glared at the spotters as if they were to blame for his miss. Phil made all of his bench presses, starting with 330lbs and ending with a solid 370lbs. As he watched the rest of the lifters, he began to have some regrets about not using a bench shirt. Bleach-Blonde opened his benches with 390 and ended with a solid 440lbs. The highest lift was made by Ralph a short, fireplug of a lifter who started at 425, then made 440 and 455. At the rules briefing it was announced that 4th attempts would be permitted for any lifter attempting a state record with the added incentive that a local car dealership would donate 500.00 to the children’s charity fund for any state record broken. The state record was 460lbs and the announcer encouraged Ralph to take a shot at 465lbs. With the entire audience on it’s feet, Ralph broke the state record and was immediately rewarded with a standing ovation from the crowd. After the first two events, Bleach-Blonde led the class with 980lbs. Phil was in 4th with 905lbs, but was not far out of second and third place. He sat on the bleachers with a small legal pad and planned his strategy for the deadlifts. Phil looked up and saw Bob coming towards him. “Sorry, I’m late” said Bob, “No sweat, good to see you” replied Phil. “I looked at the scoreboard on the way in, not a bad performance there old-timer” said Bob. Phil smiled at the old-timer comment. Bob sat down next to Phil and looked over the figures that he had written on the paper. “Is that your plan for the deadlift attempts” asked Bob, “Yup” said Phil. Bob took a deep breath. “Are you sure you know what you are doing” asked Bob. “Yeah, I think so” said Phil as he stood up and walked back to the warm-up area to get ready to deadlift. As Phil was warming up, several lifters came by and complimented his performance. The lifting was rapid and smooth. Before he knew it, Phil found himself in the on deck circle waiting to take his opening attempt at 510lbs, which was the highest in the class. He watched Bleach Blond open with 500lbs, the second highest opener in the class. The powerful young man pulled the weight to completion though, it seemed to Phil that it was tough opening attempt. Bleach-Blond told the expeditor that his second attempt would be 530lbs. Phil made his opening attempt and called for 540lbs for his second attempt. The second round took longer that the first as fatigue was starting to set in with many of the lifters and they deliberately took the maximum allowable time for each of their attempts. Several of the lifters cracked the 500lb mark on their second attempt. Phil waited until he was three lifters away from his second attempt and then he calmly walked up the scorers table and told them that he wanted to increase his second attempt from 540lbs to 605lbs, which would tie him with Bleach-Blond, and by virtue of his lighter bodyweight, would put him in first place. One of Bleach-Blond’s friends overheard what Phil had said and he immediately relayed the news to the young lifter. Bleach-Blond was clearly shaken by Phil’s change, though he tried not to show it. He considered increasing his second attempt, but his friends convinced him to stay with the 530. They pointed out that Phil might be bluffing and he still had to actually lift the weight. It would be best to stick with the 530, see what Phil could do with the 605 and then use the third attempt to re-take the lead if necessary. Bleach-Blond had made a personal best training deadlift of 545lbs a few weeks before the contest. He was hoping to take a shot at 550lbs at this event. He lifted the 530lbs and though it was tough, he felt he could do another 15-20lbs or so if he really needed to as there was no way he was going to let an old man beat him. The expeditor approached Bleach-Blond and asked for his third attempt. Bleach- Blond told him he would give him the attempt after Phil was through. The expeditor reminded him that he only had one minute to give his third attempt so Bleach-Blond called for 540 for his third attempt, knowing he could increase it later if needed and then he turned his attention back to Phil. When Phil’s attempt at 605lbs was announced, the crowd came to their feet in support of this aging lifter. Phil quietly approached the platform. He knew he was taking a huge risk at this weight. He could have played it safe and done the 540, which would have secured him second place and then taken a shot at heavier weight, but if he wanted to play it safe, he would have never entered the contest to start with. Phil stepped up to the ponderous bar and with the crowd roaring in the background, he grabbed the bar and got into position to lift. With a low grunt, Phil began pulling and the weight left the ground and began moving upwards. The bar did not even reach his knees, when it stalled and then crashed back to the platform. Phil hung his head and turned and left the platform to polite and sympathetic applause from the crowd. Bleach Blond and his crew could not contain their excitement. One of the guys whispered “See, I knew the old man was bluffing, there was no way he could lift that weight.” Bleach-Blond was not only excited, he was also relieved. Bob was waiting for Phil at the edge of the platform. He clapped Phil on the back and said “Hey, you gave it a good shot, nothing to be ashamed of”. The expeditor approached Phil and said “Um, sir, what about your third attempt”? Phil shrugged and then said " I guess I will try it again. The expeditor had hoped Phil would pass on his third attempt as to save himself any further embarassment. Phil went over and sat down on the bleachers only a few feet from where Bleach-Blond and his crew were celebrating his victory. After watching Phil fail with his second attempt, Bleach-Blond decided to take a shot at 550 on his third attempt for a new personal record, since he had already locked up the win. The third round went quickly and soon it was Bleach- Blond's turn. He went through an impressive psyche up routine which fired up the crowd. He charged the bar and began his pull. Bleach-Blond was tired and cutting weight had taken its toll, and his heart was really not in it since he had already secured the win. 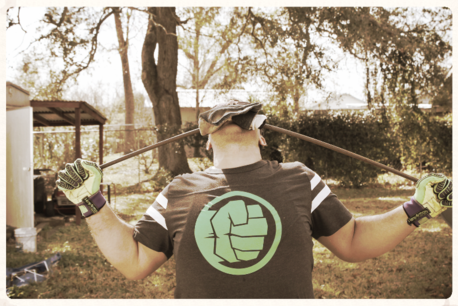 He manged to pull the bar to mid-thigh where it stalled and was then dropped. He flashed a most muscular pose to the crowd and walked off the platform to be high fived by his friends. While Bleach-Blond was posing on the plaform, Bob had walked over and sat down next to his friend. He took a deep breath and said "Phil, do you still have one left in you"? Phil replied "I believe I do" "Then go lift the damn bar" said Bob. The two men stood up and walked to the edge of the platform where the chalk was kept. As they passed Bleach-Blond he said "C'mon Phil, you can do it" in a sarcastic and phony way. Phil ignored him and Bob whispered "sucker" under his breath. Phil chalked his hands and stepped onto the platform. There was a couple of cheers but most of the crowd was silent as they felt bad that Phil was embarssing himself like this. Phil stood alone on the platform, no teamates to help out, just himself and the loaded bar. This is the beauty of the deadlift, there are no slips and falls, rarely if ever does a a judge affect the outcome, it is just man against gravity. Phil prepared himself for the lift and wondered if his strategy would pay off. He knew that by sandbagging his second attempt, it would give Bleach Blond a false sense of victory and combined with the weight he had to cut would likely mean a miss on his third attempt. Bleach-Blond had taken the bait and now Phil had to do his part. He reached down and set up in the near perfect pulling position, oblivious to the subtle jeers and sneers being displayed by Bleach-Blond and his crew. Phil pulled the weight solidly, it went past his knees and then to mid-thigh where it stalled for a few seconds. Phil fought the weight and it began to move again. Ever so slowly Phil locked the weight out for a three white light sucess and first place in the 198lb class. The crowd roared its approval and Phil was mobbed by fellow lifters as he stepped off the platform. 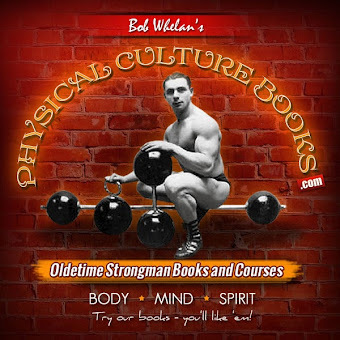 Bob grabbed him in a bear hug and shouted " Never mess with an old man with a strong back" The expeditor fought his way through the crowd and said "Phil, the state masters record is 610lbs, do you want to take a shot at it"? Phil smiled and said, "Sure....next year". "do not go gentle into that good night, but rage, rage against the dying of the light"